To create a lane, select Lane from the diagram toolbar and click it inside the pool. Rename the pool as Account. Create a lane. To create a nested lane, right click on a lane and select Add Child Lane from the pop-up menu. Add a child lane. On the other hand, you can make a lane to become a nested lane of an existing lane. Right click on a lane you want it to be nested lane, for example... Utility Description. EA modeling tool add-on that automatically generates alternative process flow views based on the primary model. This provides various business-relevant views, while still maintaining the integrity of the primary model. Security Architect – to develop a vision for asset security, network security and identity management for the enterprise and work with project teams to ensure that all new development builds... With Enterprise Architect (Version 9.2), I created some Class and Sequence UML Diagrams. Now I need those Diagrams in a Word document. My first approach was to just cut them out with the Windows 7 Snipping Tool and paste them into the document. 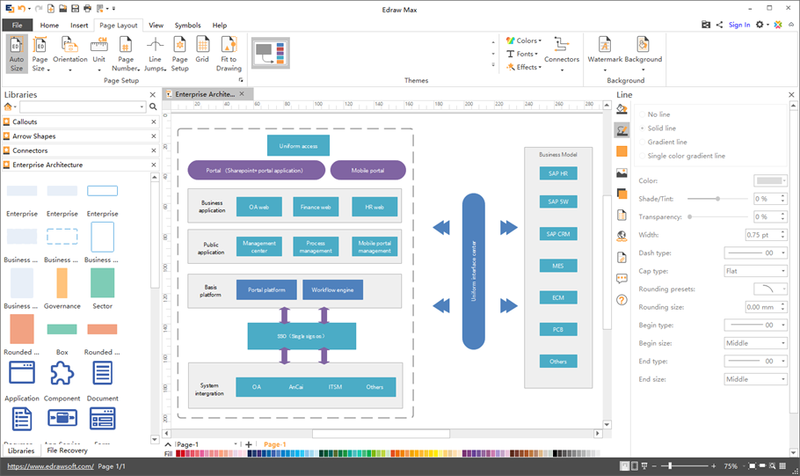 10/05/2016 · Tutorial using Enterprise Architect 12 to create a sequence diagram - Lifelines - Communication between lifelines - Returning values - Example with …... Select UML Activity, and then click Create. You can now insert swimlanes and build the activity control in the diagram. If you want to indicate responsibility in the activity diagram, drag a Swimlane shape onto the page for each class, person, or organizational unit you want to represent. Alternatively to swimlanes Enterprise Architect offers partitions, graphically very similar to swimlanes, but logically represented in the model. This allows a sorting of elements in the project browser by partitions, entering of detailed properties for the partition and - last but not least - pointing to an instance classifier carrying the definition of the task owner. Create sub lane. Displays the 'Create sub lane' dialog, on which you enter the title of the sub-lane. Click on the OK button to save the name and add it to the Swimlanes panel; click on the icon at the top of the dialog to add the sub-lane to the diagram. Enterprise Architect diagrams support Swimlanes for all diagram types. Swimlanes are vertical or horizontal bands in a diagram that divide the diagram into logical areas or partitions.